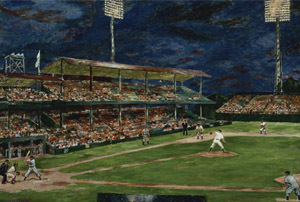 This entry was posted in Exhibitions and tagged American Art, art poetry, baseball, sports, woman artist, women artists. Bookmark the permalink. We knew this would be up your alley, Maureen!